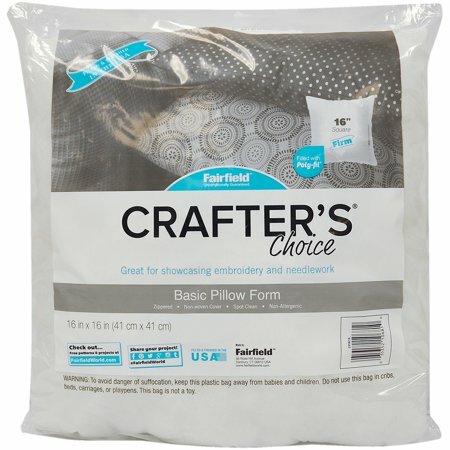 Home > Notions & Tools > Pillow Forms > Pillow Form - 16" x 16"
Pillow Form - 16" x 16"
The Crafter's Choice Pillow Insert makes it easy for you to create craft pillows. Just insert it into a custom case and you're good to go. You can also use the included polyester fiberfill to stuff animals and other items. This square pillow insert is washable for easy care and cleaning. The non-allergenic formula makes it safe for people with sensitivities to handle. This soft and fluffy unit makes for pillows that are fun to cuddle up against. The side zipper allows you to add or remove fill for a custom softness level.